If you’re looking for great 9 year old games that are also good for the whole family, check out this extensive list of over fifty options. You will find suggestions here to suit everyone’s taste from the classics to new creations. Whether you like football, trivia, or battling dragons, there is a game for you. Check out these clever instructions for building an adorable chess set with mix and match LEGO pieces you have lying around the house. Each set will be a bit different as you will have to work with what you have on hand. Use mini figurines to create unique game pieces. There are so many fun and unique games you can create with all those miscellaneous LEGO pieces you have lying around the house – this tutorial shows you one such board game with a free printable download to make your own. There are also ways to add your own rules to the game to create one that works just for your family. Create your own personal family trivia game with these suggestions. 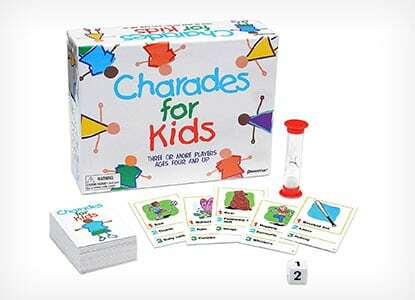 Repurpose an old game board, collect family photos, and write trivia questions that pertain to your family. Imagine the fun you will have seeing who knows the answers about your family history. This also makes a sweet family gift.